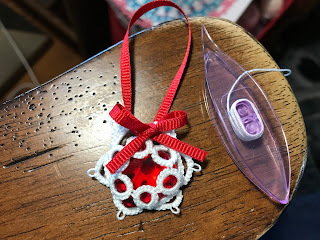 Lace-lovin' Librarian: Skip, skip, skip to my Lou! I didn't meant to skip two days of blogging. In fact, I had the pictures on my computer, posted to Facebook, replied to emails and comments. I just forgot to blog! 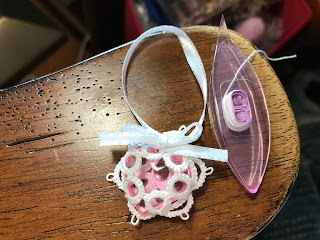 There hasn't been much time for tatting with the little ones here, but I have managed to tat a couple of Ice Drops. 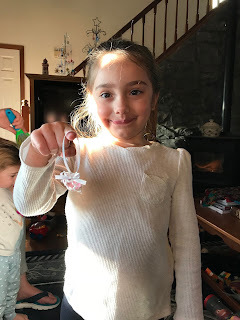 Sophia chose the pink acrylic heart gem, thread, and ribbon for her Ice Drop. She then had Mommy fix her hair for her photo shoot! 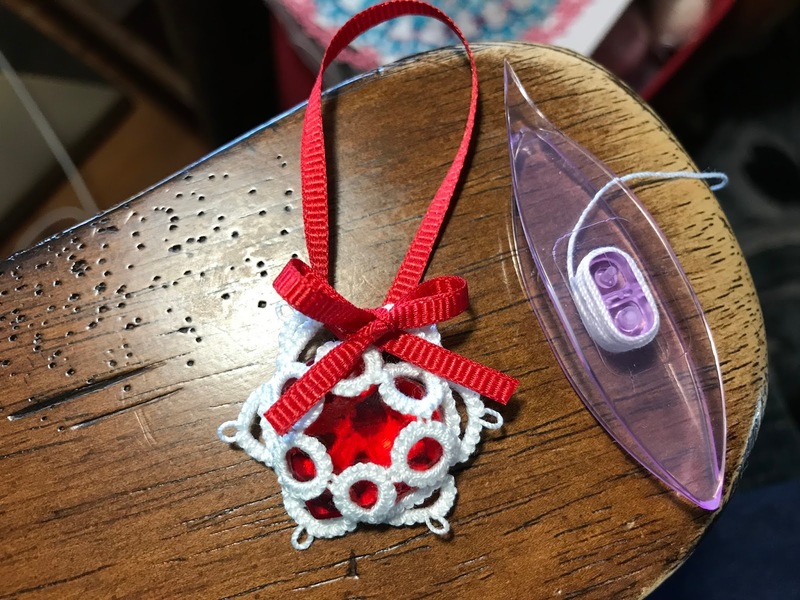 Sophia chose a red acrylic heart for sister Kara's. At first she wanted purple ribbon, but then changed her mind when she saw the red ribbon. 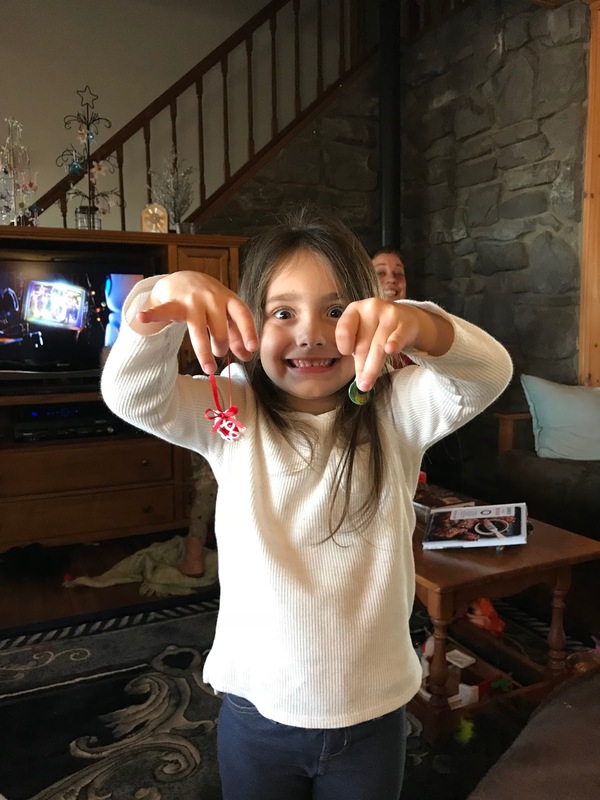 Kara refused to pose with her Ice Drop, so Sophia modeled her sister's Ice Drop for her. Sophia was also very excited to find a peacock bead, which she hopes I will use for another Ice Drop. I think she stands a good chance of that happening! Aunt Carol popped her head up in the background. The twins and Sophia love Aunt Carol! So beautiful 🌹the drops too😄 where did you find the acrylic ones? Fun to have collaborators! Sophia has good taste.